Our school is part of the Pontefract Academies Trust (PAT). The PAT was created under the provisions of the Academies Act 2010, as amended by the Education Act 2011. Its structure of governance is constituted under the Articles of Association. The Trust is an exempt charity by virtue of the Charities Act 2011. The Funding Agreement between the Department for Education (DfE) and the Trust sets out the terms and conditions on which grant is made. 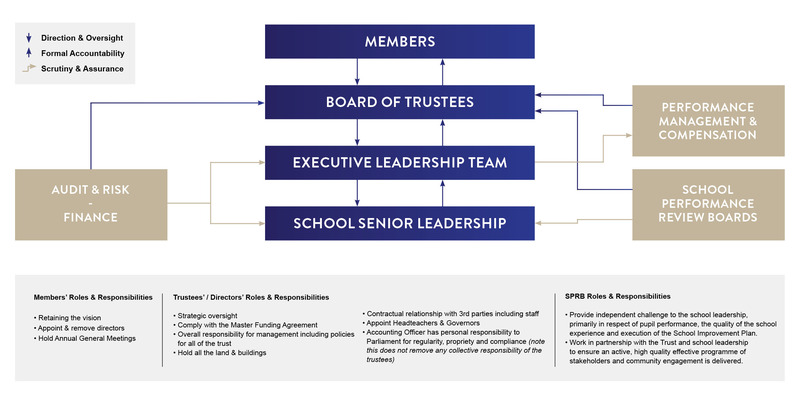 The Trust Board is responsible for ensuring that the conditions of grant are met. As part of this process the Trust is required to have in place appropriate arrangements for sound governance, financial management, securing value for money and accounting, and for using public funds for the purposes for which they were intended by Parliament. The SPRB help to make school a safe, fun and productive place. Our SPRB is made up of parents, staff and other members of the community who all have an interest in our school and work hard to ensure that our students can make the most of their ability. If you’d like to contact our Chair, please do so in writing via the school office or alternatively by email SGCChair@orchardhead.patrust.org.uk. I’ve lived in Pontefract all my life, and I am married with two adult sons. I’ve worked for Wakefield District Housing for over 30 years in a variety of roles – currently working with children and young people, helping them to maximise their potential – and I’m a member of the Chartered Institute of Housing. I was previously a Governor at a school in Airedale, however I moved to Orchard Head in order to work with the community I know best. I play football every week, enjoy running (having completed the London Marathon and the Great North Run seven times), and I’m a keen supporter of Featherstone Rovers. Before joining Orchard Head J I & N School, I was a Headteacher in Leeds. During my career, I have taught in a number of schools in different authorities and in a range of different year groups. From my experience of working in education for 17 years, I know that a successful and happy school depends on all of us working together and I am extremely excited about the challenge that lies ahead of us all. I moved to Pontefract almost 20 years ago, after working overseas as a Children’s entertainer. I have 2 wonderful children, a daughter aged 13 and a son aged 10. I currently work as a Stock and Planning Manager at a steel stockholders in Stourton, Leeds. I am a keen runner and am determined, even after 6 rejection emails, that one day, I will run the London Marathon; however I’m at my happiest spending time with family and friends, particularly when the sun is shining.